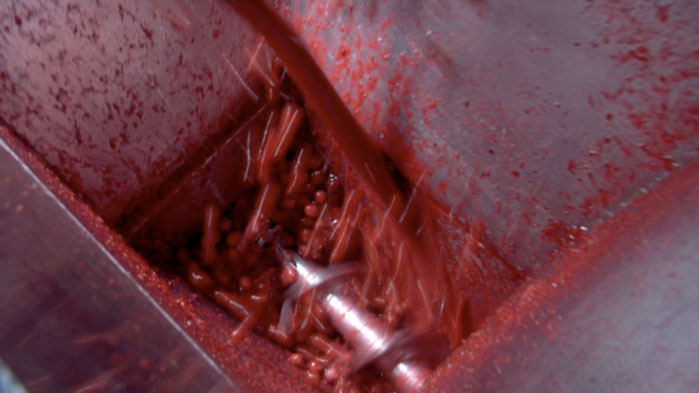 In traditional juicing processes, especially for industrial (or large scale) practices, fruit and vegetable juice is formed by squeezing the produce until the liquid is removed. That liquid is often a clear fluid because most processors cannot “juice” the solids. This leaves an almost clarified liquid that has a relatively high sugar content and relatively low fiber content, and contains none of the micronutrients that would be found in the skin or peels of the fruit, or the leaves and stems of the vegetables. The "Juice Plus+ing" process is a bit more rigorous, and results in what we feel is a much better finished product. We start with the whole fruits and vegetables. We leave the skin and seeds intact (unless the seeds are toxic, as is the case with peaches) and process the whole produce. We have a very large grinder that breaks the majority of the pieces into small bits and then those small bits are further broken down into a fine slurry. It is this slurry containing the micronutrients from the skin and seeds or leaves and stems along with the flesh that is dried. This picture (left) of the beginning of our process is the rough grinding of the fruits (click on the picture to enlarge). 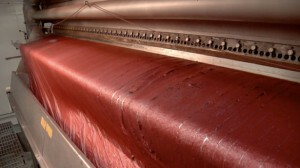 This is a picture of our cranberries on the drier (right). If you look closely you can see fibrous strings (click on the picture to enlarge). What you can’t see in this picture, but I have seen consistently, are pieces of seeds that are still relatively whole. When we test our product against other “juiced” powders, we consistently see higher values for things like vitamin e and c, as well as polyphenols and anthocyanins. Additionally, we consistently see deeper, more vibrant colors in our products than in competitive products. 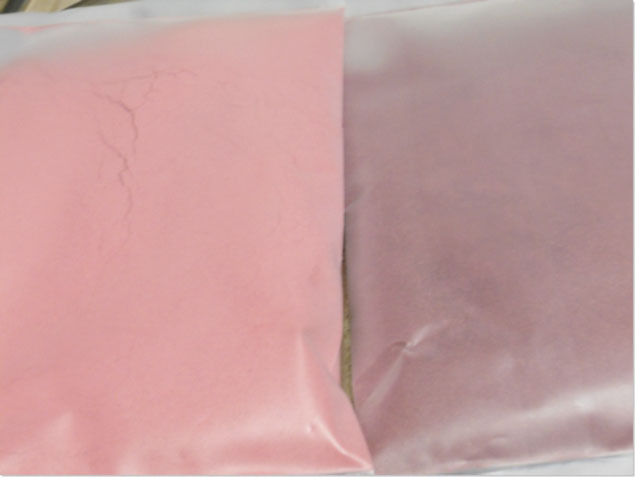 Here is a picture of our cranberry compared to standard juiced cranberry powder (click on the picture to enlarge). You can see that our powder (on the right) is darker and has more natural variation than the one on the left. Juice Plus+ product quality assurance is second to none. The good news is that this special way of making the Juice Plus+ powders results in the most densely nutritious and effective whole-food based product in history. This is proven by the impressive body of research on Juice Plus+, published in more than 30 medical and nutrition journals. If you are not already benefiting from Juice Plus+ we'll be happy to get you started. 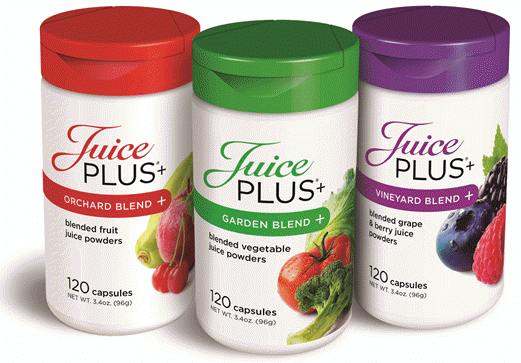 Juice Plus+ is second to none in terms of quality, effectiveness and affordability. It’s “the next best thing to fruits and vegetables” only because it’s dehydrated fruits, vegetables, berries and grains – it’s not exactly the same as “the real thing”.